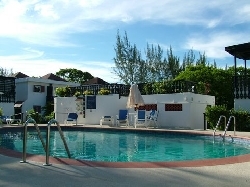 VILLAS AND APARTMENTS TO RENT IN CHRIST CHURCH, BARBADOS. Welcome to our selection of holiday homes to rent in Christ Church, the Caribbean. Christ Church Barbados is a parish located on the south coast of Barbados. One major draw of taking a Christ Church tour is the beaches you will encounter. Water sports enthusiasts enjoy kite and wind surfing at Long Beach, Silver Rock Beach, and Silver Sands. There are also two golf courses in Christ Church. A relaxing game of golf can be played at the Barbados Golf Club or at the Rockley Golf and Country Club. Looking for self catering holiday accommodation in Christ Church? Then below is a selection of apartments in Christ Church and villas in Christ Church that can be rented direct from their owners. You can either click on each listing for further details or you can use our search engine on the left if you are looking for something in particular.